Korean Show “Animal Farm” Brings Animal Rights Mainstream! I wanted to share with you one of Sunnie and my favorite Korean television shows, and it’s not a drama. It’s a show on SBS, called Animal Farm, that focuses on animal news and stories and quite a bit on animal welfare. It is really a wonderful show, sharing both heart warming and heart breaking stories about animals. In some ways, Korea is behind the US in terms of awareness of animal rights. In other ways, they are more advanced. Our factory farming system in the US involves misery on an unimaginable scale after all. What I do know, however, is the idea of one of our major networks showing a show largely devoted to animal welfare seems like a fantasy, and that is what SBS (Seoul Broadcasting System, one of the three major networks in Korea) does. In fact, an animal rights organization recently targeted the current K-drama, Midas Touch, as one of the characters in it was wearing a huge fur coat (as the Animal Farm special shows, a single coat can cost the lives of over a hundred animals, and more than that, the animals live horrific lives before they are brutally killed for their fur). With progressive shows like Animal Farm, organizations like KARA, and awesome and kind-hearted celebrities like Lee Hyori and Kim Hyo Jin (the beautiful actress from Marry me, Mary!) who recently publicly refused to wear any fur in her photo shoots, we know that hearts and minds will continue to be changed! Kim Hyo Jin, the beautiful and "fur-free" actress from Marry me, Mary! ← Vegan Joomuk-bap (Fist Rice) Recipe! 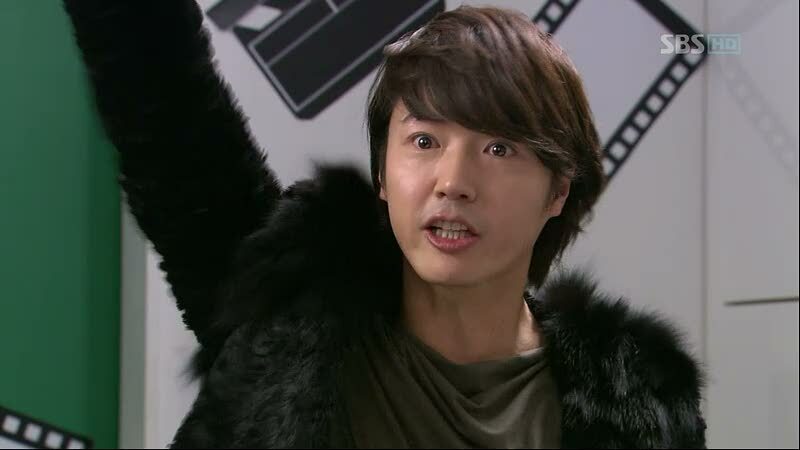 I wish fur would be banned from Korean dramas. Also, it is disturbing to see horses treated with such roughness and sometimes outright abuse. I watch Korean dramas all the time but the issue of animal cruelty appears again and again. It is disturbing that otherwise world-class productions are not up to 21st century standards on this issue. Absolutely. We participated in a protest against Fendi in Seoul on a trip when we were over there. The fur really needs to be taken out of the entertainment so it’s not seen as so desirable. People just don’t understand what goes into it becoming a coat. Once they do, they don’t wear it anymore, by and large. Progress is happening – it takes time!